Two years ago, when the Autodesk Molecule Viewer was still in it’s infancy, we dreamed at how incredible it would be when we can finally open up a web browser to see the entire machinery inside a cell, with billions of molecules at our fingertips. Proof here. Well, the future seems to be close. Dr. Ray Stevens and the Bridge Institute at USC launched a program that brings together scientists (computational biologists, structural biologists, pharmacologists), engineers, and cinematic artists in an effort to visualize an entire human cell. Leveraging the expertise of students and professions across these domains, they are working to gain a more holistic understanding of health and disease at a cellular level. 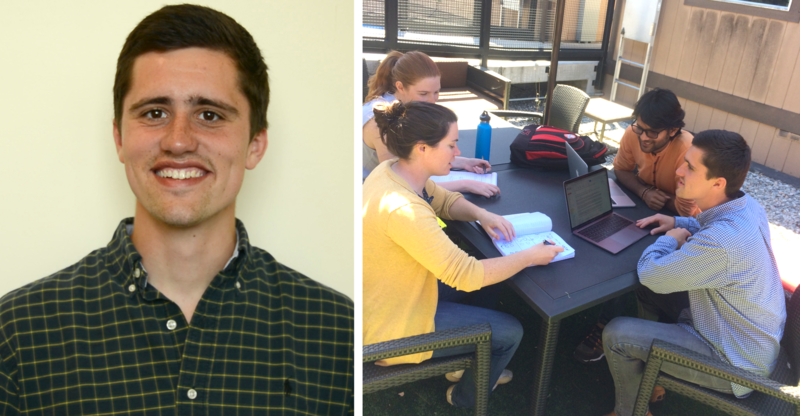 Kyle McClary, a USC Dornsife and Bridge Chemistry PhD student in the laboratory of Ray Stevens is helping to lead this initiative. He’s part of the inaugural ‘Convergent Biosciences’ class that is tackling this challenge: to create the first model of a visual cell. Kyle McClary and team members from Convergent Biosciences, USC. The team of students and faculty chose the pancreatic beta cell as their their first target to model. They chose the beta cell not only because it's function is critical to human health as the body's sole source of insulin, but also because it has been extensively experimentally characterized, mathematically modelled and simulated –all data that can be leveraged. Even with a plethora of data it is a tremendously complex task. They need to collect and validate data, at first focusing on transcriptomics and proteomics data. At the same time, they are piecing together this data across many different sources and scales, connecting omics to electron tomography data taken of these cells. McClary explains how they chose the pancreatic beta cell. “We wanted to work on a system that would have benefits to human health and disease. We want to see, for example, how a drug interaction at the molecular scale impacts cellular scale physiology. This is step toward ultimately developing better diabetes treatments." This incredible project also involves the World Building Media Lab at USC School of Cinematic Arts (well known for their Leviathon project). As a key partner in this venue, they are breaking ground in bringing visualization, immersion, and interactivity into the full cell model for use in narratives, storytelling, and ultimately, research. McClary says, “Visualization is the glue that holds our mutual understanding across scientific disciplines”. By disseminating and assembling data from a visual and immersive perspective, it provides a vehicle into a largely unfamiliar space. We’ll be engaging and looking forward with anticipation as the team takes big strides towards solving major challenges in health and disease in the coming months.